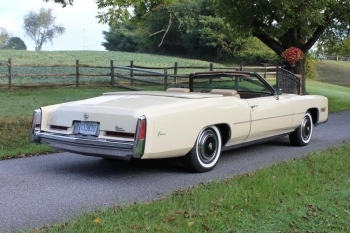 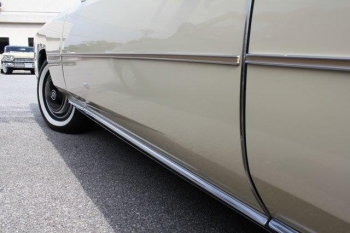 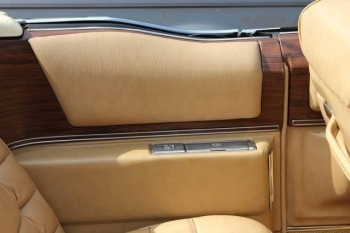 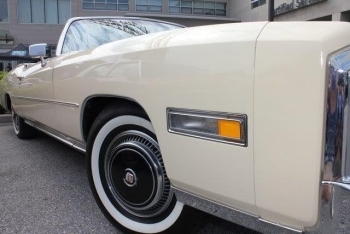 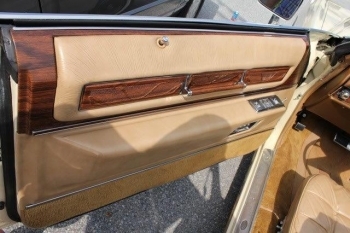 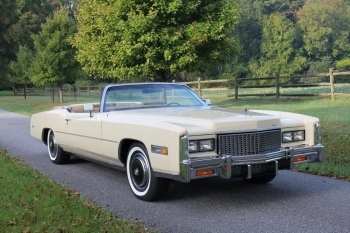 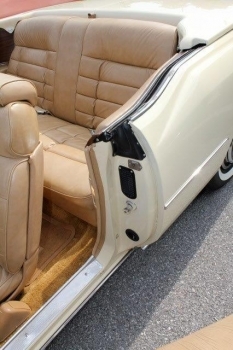 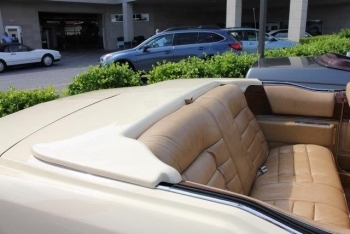 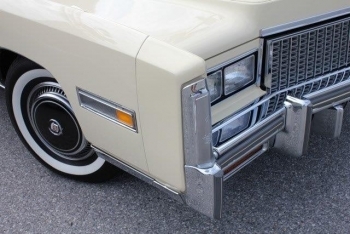 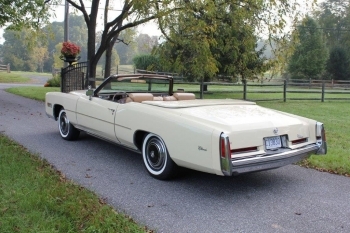 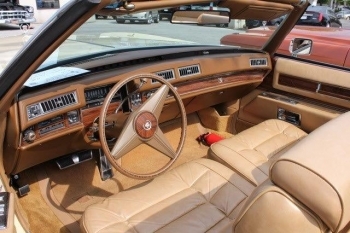 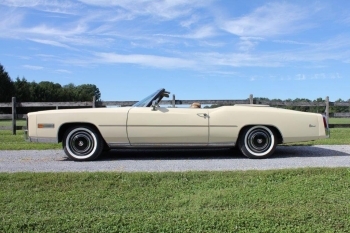 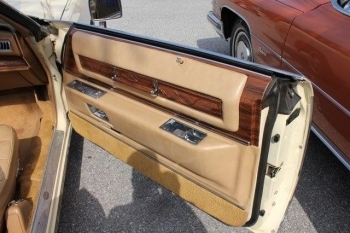 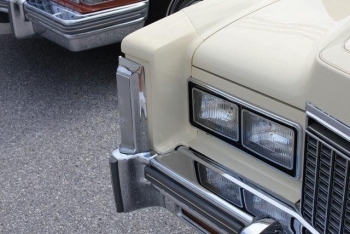 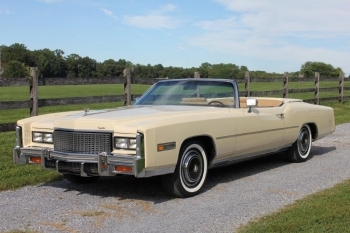 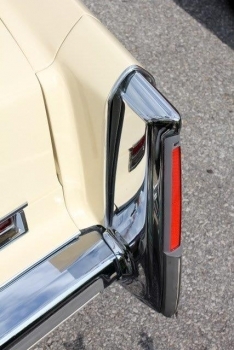 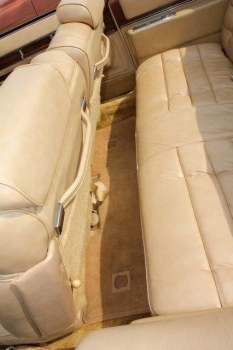 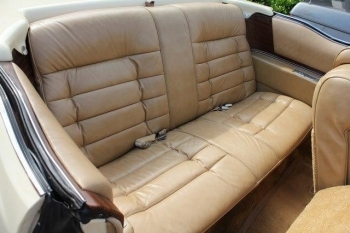 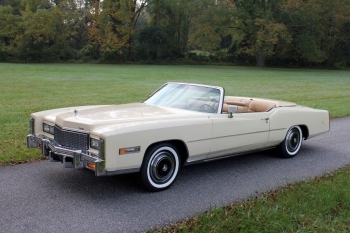 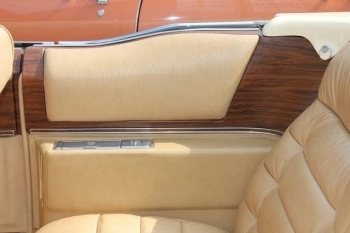 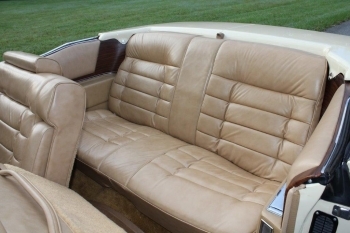 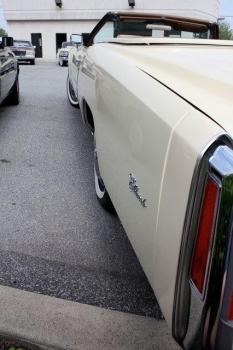 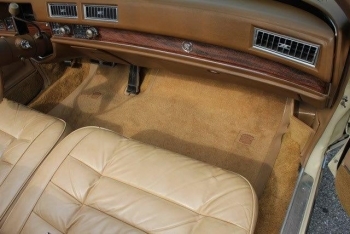 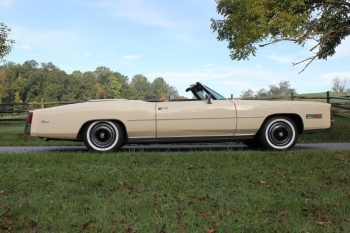 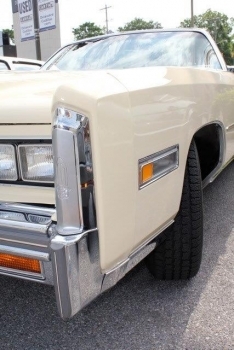 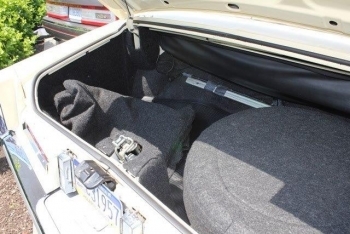 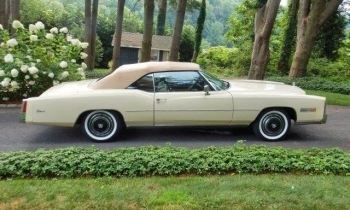 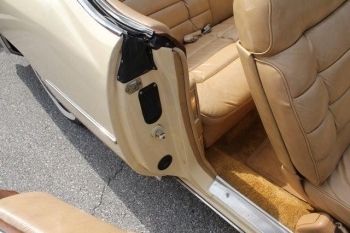 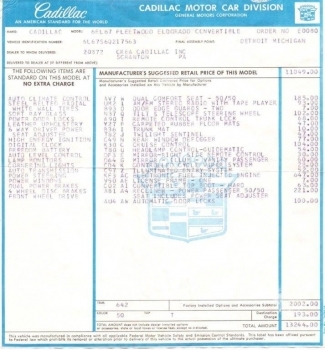 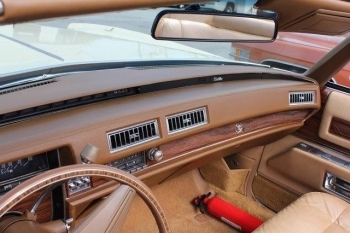 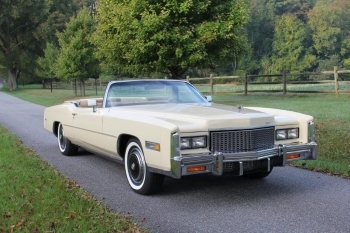 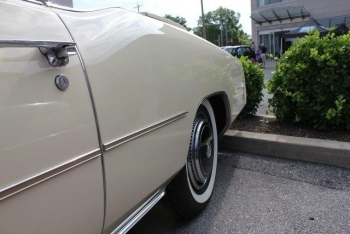 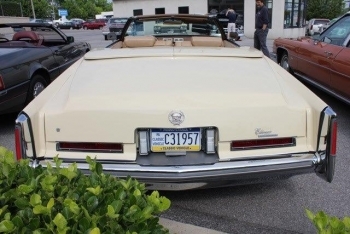 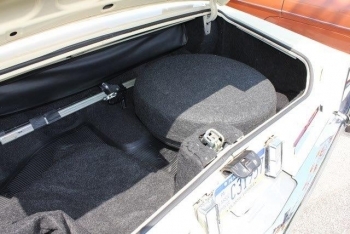 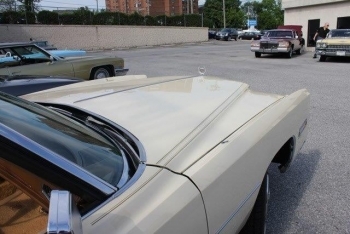 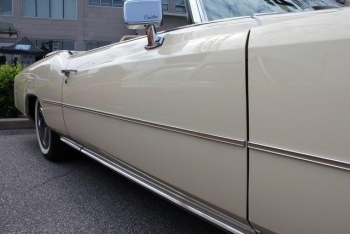 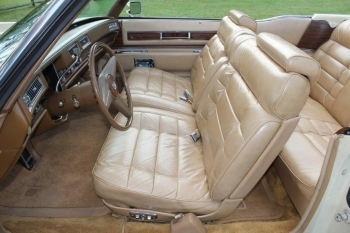 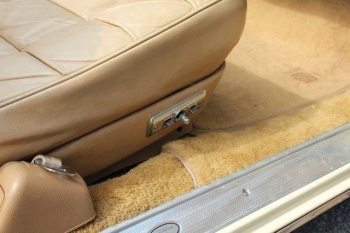 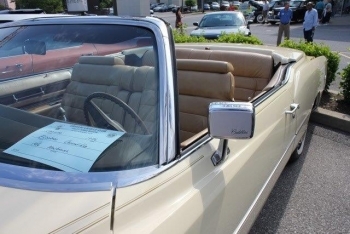 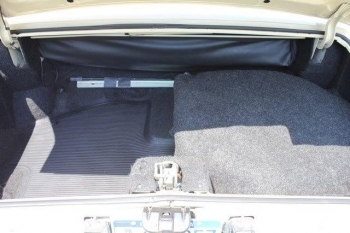 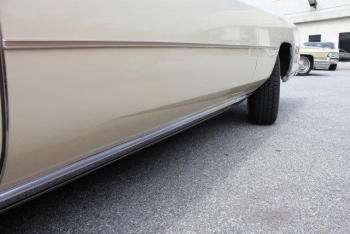 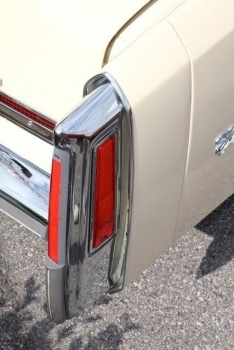 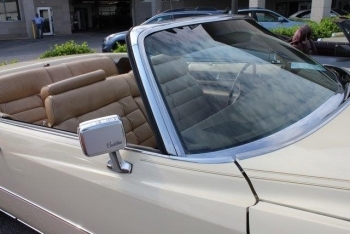 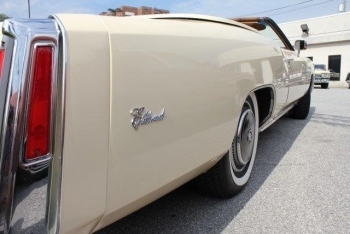 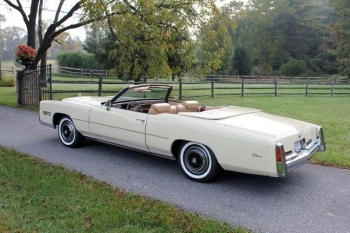 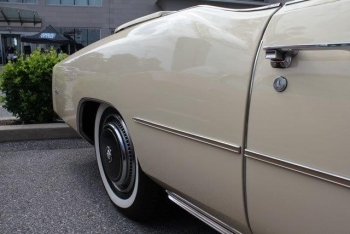 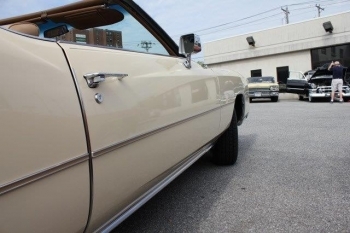 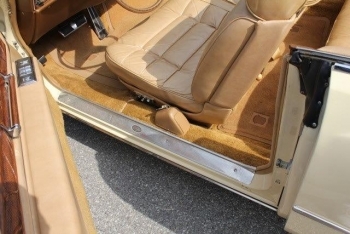 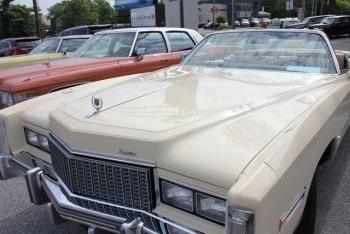 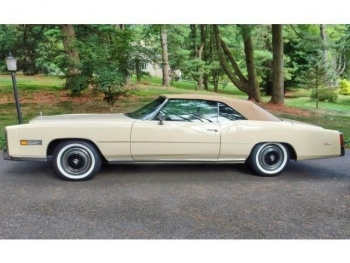 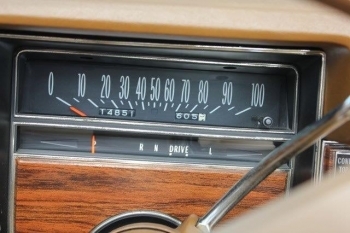 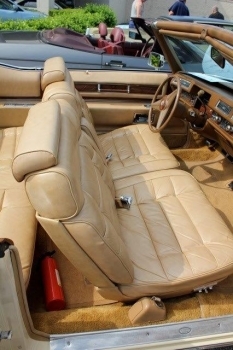 1976 Eldorado Convertible, Calumet Cream, 50-50 Soft Buckskin leather 6 way electric seats and matching top. 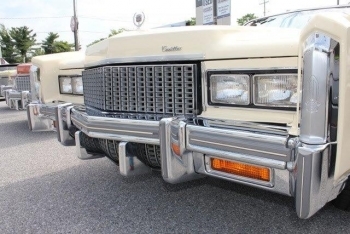 Fully powered and equipped including, AM/FM 8 stereo radio tape player, cruise control, twilight sentinel, guidematic headlamp control, Illuminated entry system, automatic climate control, t & t wheel, parade boot, remote control rear view mirrors, automatic level control, delayed wiper, remote control trunk, rear window defogger, electronic fuel injection, recliner power passenger, automatic door locks, Illuminated vanity passenger mirror, front and rear carpeted floor mats, dual 4- wheel disc power brakes, and a host of other standard equipment. 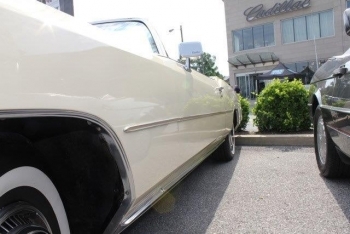 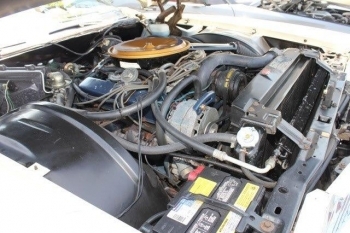 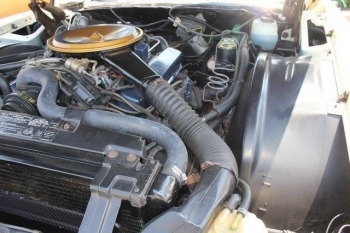 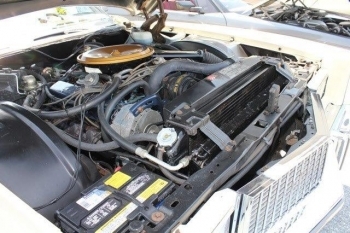 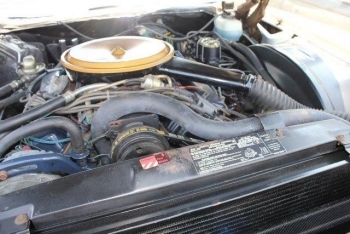 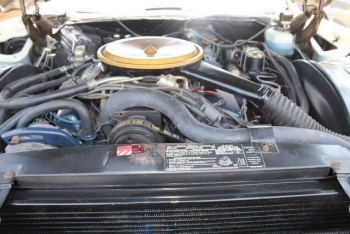 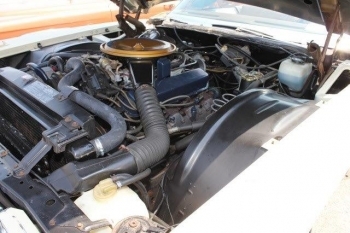 Meticulously maintained and only 14,851 original miles. 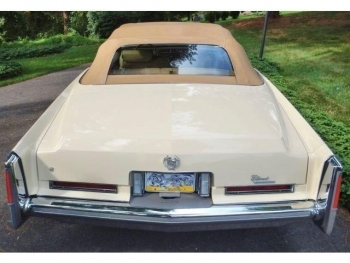 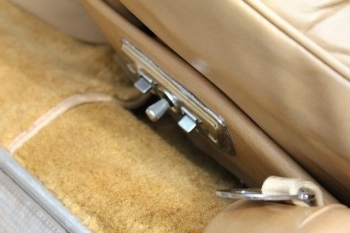 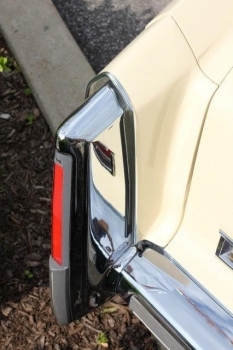 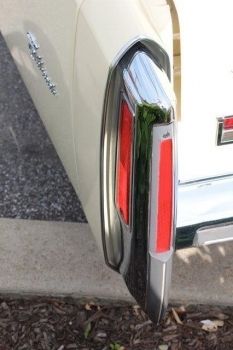 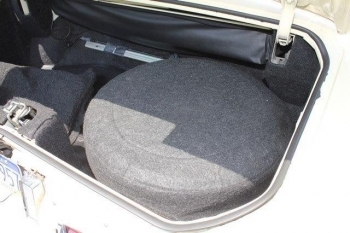 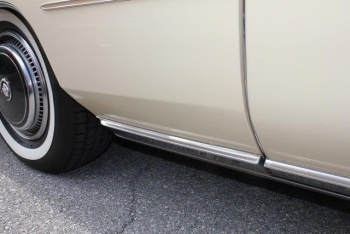 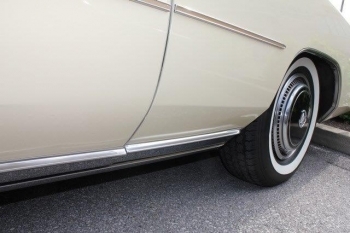 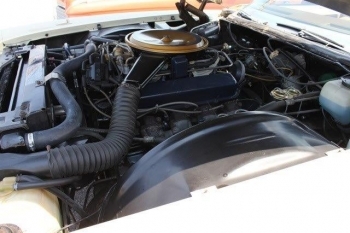 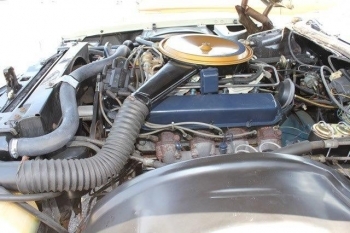 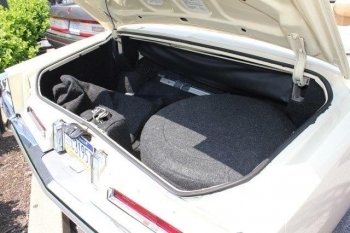 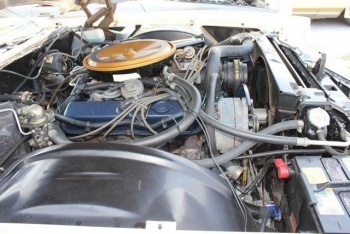 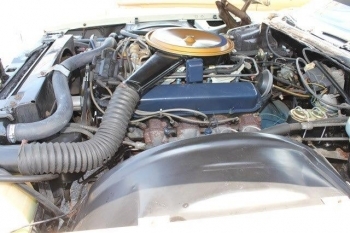 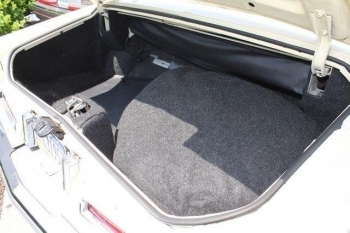 This Cream Puff rides impeccably, is in # 1 vehicle condition, and is one of the finest in the country.